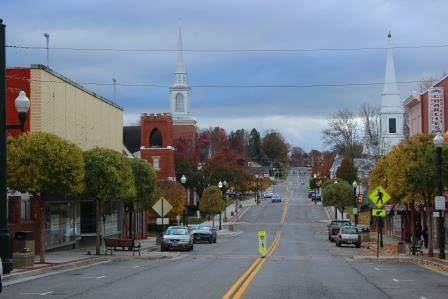 With a little under 22,000 people, the town of Christiansburg it the fourth largest town in Virginia. It brings in good business from Blacksburg and Radford with the New River Valley Mall and surrounding shopping being located in its boundaries. 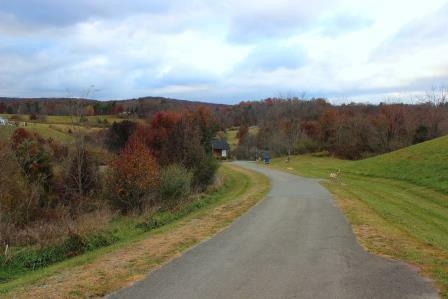 The Huckleberry Trail is a paved activity trail that runs through Christiansburg and neighboring Blacksburg. Whether you like biking, running, skating or walking, the Huckleberry’s seven mile stretch is the perfect place to take in the scenic views of the New River Valley while relaxing or getting in a good workout. 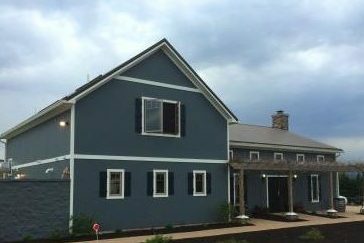 Whitebarrel Winery is the perfect stop for a light meal and wine tasting. If you’re new to the area or just want to learn more about Virginia wines this is the place to start. The variety is huge and the service is outstanding. This is a Christiansburg gem so make sure you stop by and stock up on a few bottles of your favorite wine. As of the end of April 2017, Christiansburg has had 264 new listings as compared to 222 at the end of April 2016. This is a 18.9% increase over 2016 which means that there is additional inventory year-over-year. 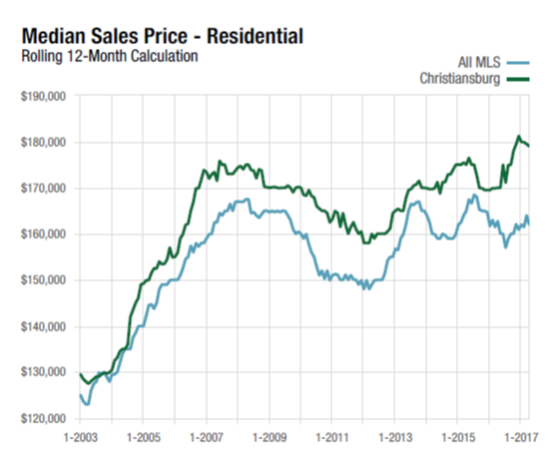 In April 2017, the Average Sales Price was $184,005 in Christiansburg as compared to $194,209 in April 2016. The average days on the market for Christiansburg in April 2017 was 57 as compared to 86 days in April 2016. At the end of April 2017, the average days on the market was 75 as compared to 94 days through the end of April 2016 which means that homes are selling 20% quicker than last year. 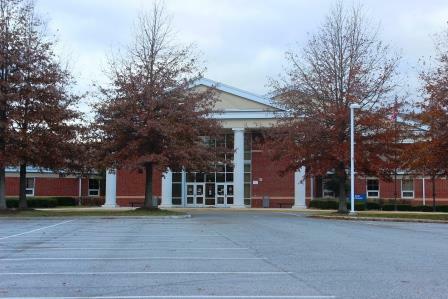 Having Virginia Tech and Radford University right down the road, Christiansburg public schools maintain their goal of preparing their students to be career and college ready, spending over $10,000 per student per year. 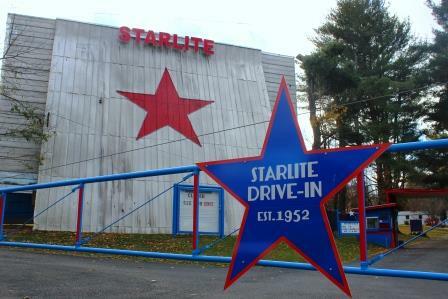 Whether it’s date-night or you’re looking to take your little ones on an adventure, the Starlite Drive-In is a fun throw-back for everyone. Your nostalgia will be at an all time high when you grab a bag of popcorn and are watching a movie under the stars. Downtown Christiansburg. There has been a revitalization of downtown Christiansburg over the years with upgrades to the walkways and investments made in the offices including a brand new Montgomery County Courthouse located in downtown. There are several restaurants, antique shops and a local farmer’s market too.